Throughout my travels, I have found certain beauty products to consistently appear in the personal makeup bags of professional makeup artists. Why? Probably because these products deliver. If you’ve been looking for a primer that truly, really and sincerely works when it comes to minimizing the appearance of large pores, you can stop looking and invest in Benefit’s best-selling The Porefessional. You’ll soon wonder how you ever lived without it. And you’ll see why makeup artists choose not to. How did I discover this miracle balm? I’d read about it one too many times in one too many beauty magazines and I could no longer ignore the possibility that it might actually work! To my astonishment, I watched – with my first application – as my pores went from in your face (no pun intended) to barely there. 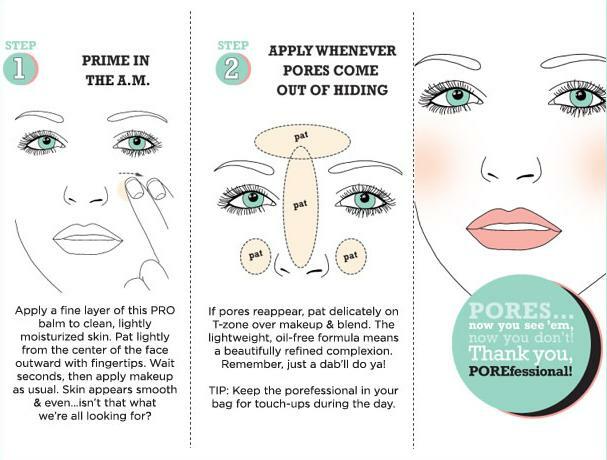 While this primer does not eradicate pores completely (what does? ), it’s as good as I believe it’s going to get. And, for those evenings when you want to look your absolute best, you won’t want to do without it. Application Apply a small amount of this silky, lightweight balm alone, under or over makeup. Pat onto problem areas and blend gently with fingertips. The translucent, oil-free formula complements all skin tones and also helps makeup stay put for longer. Stockists Leading department stores across the globe, including Selfridges in London, Benefit Cosmetics Online (UK) or Benefit Cosmetics Online (USA). Any idea if this is available in SA or through local online retailers? Hi Michelle. Thanks for your question. Woolworths (at the Waterfront) used to sell Benefit Cosmetics in the Beauty Department. I am not sure whether they still do, but this would be your best bet. Thanks @clarewiese, when googling I came across a few articles that said Benefit pulled out of SA last year – pity!